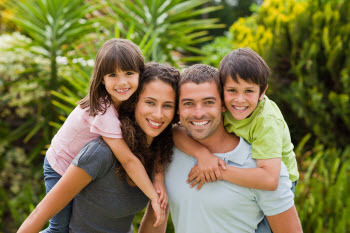 At Comprehensive Dental Services, we offer a friendly and kind staff that is gentle with children. A positive first interaction is important to creating confident dental patients who are not anxious about dental care. We want every member of your family to feel great about going to the dentist and to have a smile that boosts their confidence. Bring your kids to see our Mequon children’s dentists. Contact our office today to schedule their next cleanings or exams! Our dentists welcome children as young as three years of age for their first dental appointments. To prepare for this visit, we typically recommended children sit in the treatment room while their parents have their teeth cleaned. This allows kids to familiarize themselves with what happens during a dental appointment, so they know exactly what to expect during their own. Your child’s first dental exam is an opportunity for both parents and kids to learn about oral hygiene and how to best care for teeth. Children often need help and guidance from parents to ensure they are thoroughly brushing and flossing at home. By educating you and your child together, we promote excellent preventive practices and help your child have a strong smile well into adulthood. During happy visits for children, our young patients have their teeth cleaned and polished. X-rays can also be taken to establish the development of your child’s teeth and jaws. When they return for other routine exams, we can make sure their smiles have gotten stronger and healthier and that they have maintained cavity-free teeth. If your child’s smile is exhibiting signs of dental concerns, we provide pediatric dental crowns and white fillings on baby teeth and permanent teeth. These treatments prevent the spread of decay and improve your child’s ability to bite and chew comfortably. As children grow, we look after their health and well-being by offering athletic dental guards for contact sports and preliminary evaluations for future orthodontic treatment from a specialist. Questions about Kids’ Dental Visits? Contact our Office Today! We look forward to providing dental care to every member of your family, including education and gentle dental care for kids in Mequon. Our dentists welcome you to bring your child on your next routine cleaning and speak to our staff about the best time to schedule their first check up or next twice yearly exam.